The Cape Fear RC&D Annual Meeting was held Monday, October 29th at the Southport Community Building in Southport. N.C. Senator Bill Rabon for District 8 was the keynote speaker. 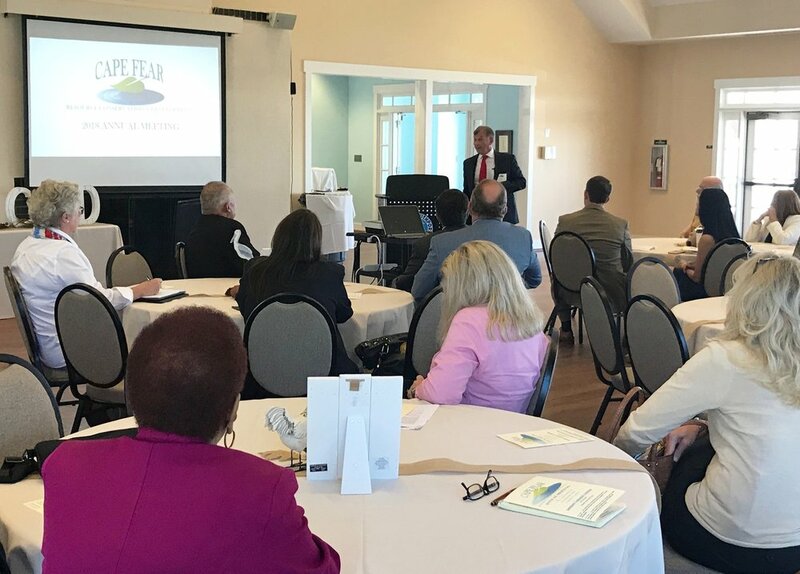 The program included Hurricane Florence reports from Pender, Brunswick, New Hanover and Bladen counties and CFRCD project reports on aquatic activity in the Cape Fear River Basin, Regional Agriculture Center for Rescue and Education, Regional Barn Quilt Trail and Bladenboro Downtown Revitalization.